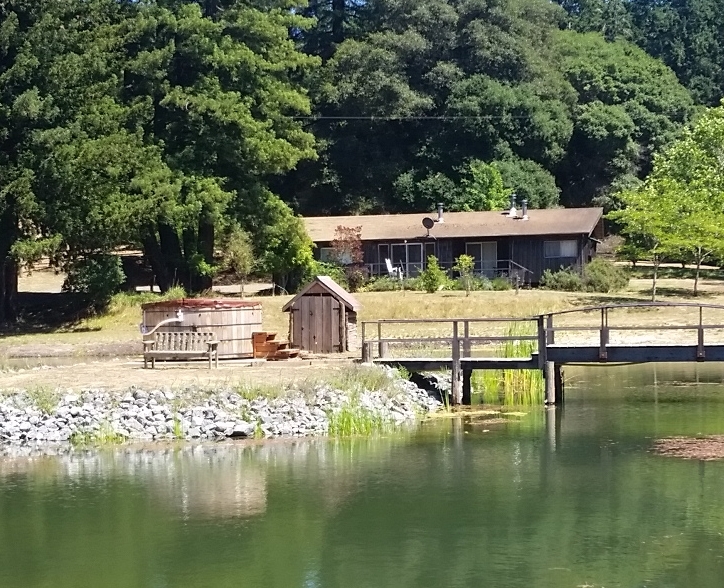 This address is a little tricky because it has a cloverdale address but it is in Mendocino County and within the scope of this Anderson Valley website. This property was established in 1859 and used as a stage coach stop for many years. It now has a building that was expressly built for weddings and Groups. It is located at the intersection of Highway 128 and Mountain House Road. This property has three buildings, each has 4 sleeping rooms plus kitchen and dinning room. 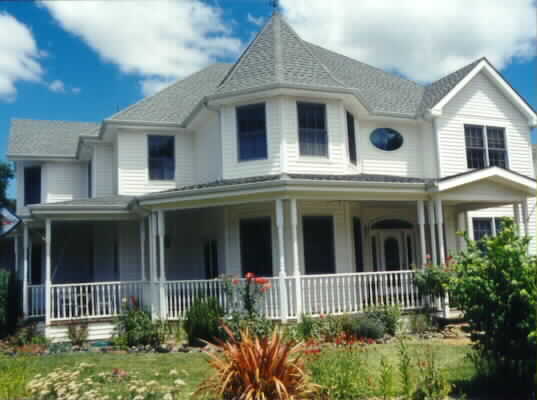 Located on a ridge and within walking distance to 6 wine tasting rooms. The maximum number of guest is 30 however indivigual rooms can be rented which comes with a full kitchen and dinning room. This is an excelent place for Weddings and Groups. Lots of green lawns and views. Blackbird Farm is a 250 acre non-profit dedicated to educating students about sustainable living, agriculture and livestock. Farm Stay Inn is the bed and breakfast portion of the organization with 4 cabins, two rooms in the 100 year old main farm house and 2 yurts for large groups. Food from the organic garden is served in the main farm house. The property has 9 horses for riding, East Friesion sheep for milk, chickens for eggs, ponds, a hot tub and tours of the property and plenty of hiking trails and a wood fired pizza oven. Group Retreats, Weddings and Groups, Individual and family, camping, lodges and rustic camp cabins. Wild Iris Retreat is a 300-acre oasis in the redwoods above the Anderson Valley. It is a working vineyard with miles of private hiking trails, sprawling lawns, river access to a real swimming hole, beautiful gardens, and a wisteria draped pool in the sunbelt, many nature trails and wine tasting at world class wineries just minutes away. The grounds are a spectacular site for a dreamy wedding or celebration in the redwoods. The two cottages sit in landscaped gardens and fruit trees and are a few steps to the pool. Rates are $275-$295/night. A complimentary package with your stay includes organic milk, granola, and coffee as well as a bottle of our own Wentzel Vineyards organic wine.